Many people know about military drones classified Unmanned Aerial Vehicles (UAVs) whose uses are explicitly in war. As the popularity of drones increased, the technology has been commercialized for businesses and individuals. The military’s contribution to the drone technology is significant and unforgettable. Developments in the technology have facilitated innovations into different ways drones are used in businesses today. The product is available for commercial and consumer purposes in most markets. However, aviation authorities in the various countries are yet to legalize their use at all or in confined spaces. These are some of the hurdles that you are likely to face as an investor interested in the drone industry. Therefore, it is paramount to review your local and federal legislation that might interfere with your use of drones in that jurisdiction. Consider these business uses of drone before engaging in this industry. The most popular industry with drone technology featuring unique aerial angles is photography. The film industry is especially thrilled by this technology which promises to overtake manually edited effects such as zooming. Prospects into mobile selfie drones are already underway with some product already in the market. This industry has played a pivotal role in publicizing drone technology and allowing authorities to experience the simple application of drones. A drone ideal for high-quality aerial photography is game changing for journalists and high-end photographers. The agricultural sector is among the first industries to embrace this technology after realizing the reliability of UAVs. Farming requires constant presence and evaluations which are essential in determining yields. Typically, a farmer conducts periodic rounds in the farm to keep track of changes necessary for the crops to perform. As a farmer, the primary factors to consider include plant hydration, pest infestation, and soil composition changes. The cumbersome task might pressurize you into hiring help to monitor your crops. Drone technology is inexpensive and requires minimal investment in time. A drone can sufficiently help you check soil hydration levels and monitor plant growth. Advanced drone technologies include sensors which can conduct intensive evaluations. You can assess soil composition and address other factors like hydration in your farm remotely. These functionalities help farmers adjust hydration, fertilize, or spray crops while minimizing costs. After their development in the law enforcement context, drones are still used in this sector. Various American states have drafted agendas to legalize drones for police use as well as arming them. Customizing drones with sensors allows the device to remain inactive until a sensor is activated. 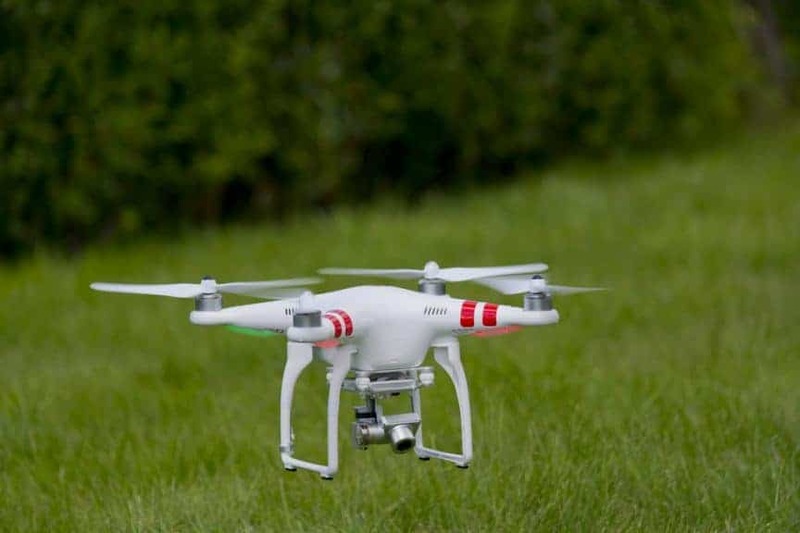 This form of technology is essential in security as a drone can be programmed to alarm an owner and record footage of an intrusion after activation. This kind of application has practical uses in the commercial and individual security platforms. Using drones for law enforcement does entirely relate to business. However, the proposal to use drones in law enforcement indicates a possible market influx in demand. Further, private contractors have to be employees to oversee and manage these units. Private security firms are also looped in as the implications of better security improve their efficiency in their work. High-quality surveillance is an important function in security, especially because of the drones’ mobility. As a real estate agent, prospective buyer or investor, site location and view are major factors that influence the business outcome. You would want to invest in a strategically positioned property which promises the client a serene environment. Aesthetics in real estate plays a significant role in decision-making for the buyer or investor. A tour through a project done comfortably through live footage from the site will quickly wins over investors. Remote property surveys add value to the quality of services clients receive from your company. The application of drones in this industry closely relates to the real estate application. Quick and cheap walkthroughs through a project are possible from remote locations making it convenient to survey construction sites that are dangerous or inaccessible. Difficult things to notice like roofing or chimney quality can be scrutinized easily from the ground. The value added to the construction industry by drone services is critical for driving the sector as more durable structures are built and maintained. The primary use of drones is the inspection of dangerous or inaccessible environments. Companies like those in the petroleum sector have taken note of the drone technology and are actively pursuing ways of using the technology in the inspection of equipment and sites. Monitoring oil rigs and other infrastructure in the industry is a paramount concern which helps avoid spillages. Further, safety while working in the industry improves which directly promotes greater productivity. Maintaining an oil harvesting infrastructure is a complicated job which requires companies to hire specialized contractors. Oil rigs in the ocean are difficult to manage because you need aerial surveillance as well deep-water monitoring. Drone technology has been adopted extensively in water exploration through the underwater drones. The use of this technology also bears tremendous opportunities in different sectors including monitoring performance of mining equipment. Further, gas leaks and pipeline evaluations can be performed locally with drones equipped with special sensors. Survey data based on traditional tools are insufficient as they are only applicable for small pieces of land. Drones capture accurate survey data thus helping land surveyors in evaluating a piece of land for survey within a short time. The use of drones in surveys is also helpful in resource exploration, forestry management, construction, and archaeology. Drone services in cartography will save you variable resources which you require during ground survey efforts. Learning the ways drones are used in businesses today helps you make the right decisions as you venture into an industry. All seven drone uses optimize business' performance. Further, the production and maintenance of drones is another developing opportunity in the industry. You could also pursue drone insurance and work directly with the sector’s participants. Invest in the drone industry today and grow with the market. Mark Chesterman is a photography enthusiast. He loves spending time trying out the newest gadgets or travelling. He bought a drone just for fun, but now he developed his passion and is using drones for aerial photography wherever he goes to. He likes writing and he contributes to Droneista, where he publishes useful drone info. You can also find him on Twitter.